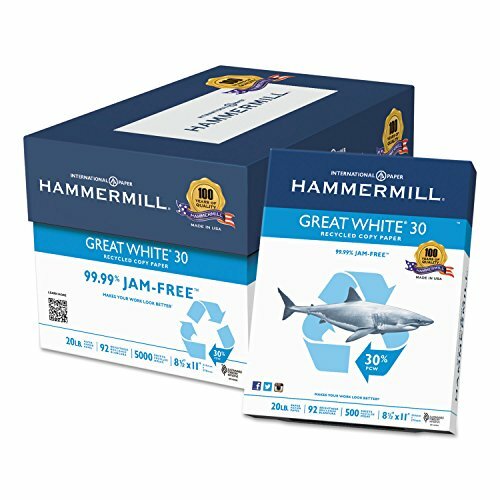 When you need a sheet with 30% post-consumer fiber, Great White 30 is the perfect choice. Formulated with a flat, even surface for consistently high readability. Excellent runnability in all plain paper office equipment. 99.99% JAM-FREETM guarantee. Acid-free for archival quality. 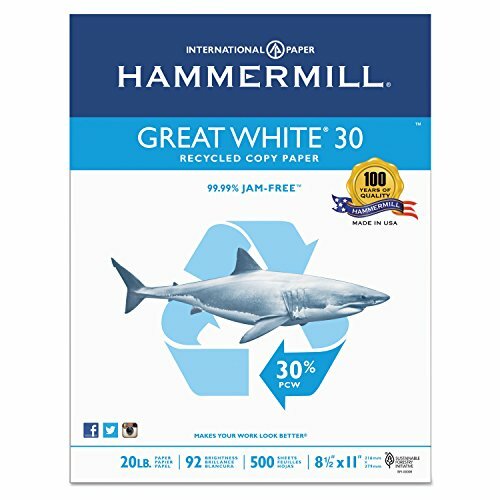 A good choice for general copying, proofing, internal memos and faxes. This product was made from wood that came from a certified managed forest. Sold as 5000/Carton. Excellent performance in all plain paper office equipment. Acid-free for archival quality. A good choice for general copying, proofing, internal memos and faxes. This product was made from wood that came from a certified managed forest.